After years of analyzing and reclassifying some 2.3 million species, a group of international researchers from eleven institutions were able to create the most advanced and up to date tree of life. This all inclusive tree is actually pieced together by compiling thousands of other, smaller trees. Of course, new species are being discovered all the time and we still don’t know many of the species living on Earth, so this attempt is not exactly exhaustive, but it’s the closest thing. The tree started by encompassing 500 smaller trees from previously published studies; everything had to be digitized and translated into a unique database, and this was quite the daunting task. Much to the dismay of the researchers, they found that only one out of six studies in 100 journals published between 2000 and 2012 had their data available in a digital format. While most studies provided some type of list, translating a PDF into a database is highly time consuming. However, some provided no background data at all. 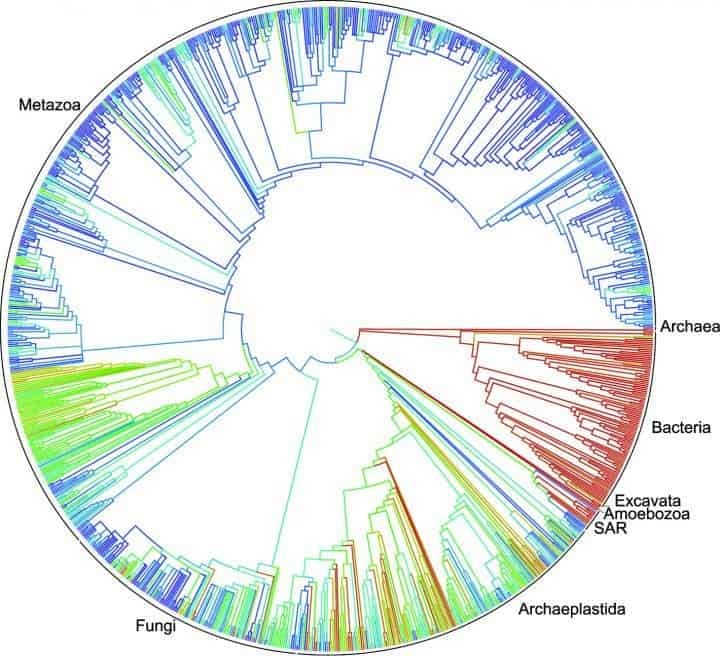 But the tree of life is not just for show – the tree of life will also provide a number of functions, including tracing the origins of some species, improving agricultural techniques and even providing information for new drugs. You can view the data by yourself, for free, by visiting their website: Open Tree of Life.